A string of recent research suggests regular meditation practice may boost mental flexibility and focus, offering powerful protection against cognitive decline. Most of us begin to misplace our keys, forget people’s names, or solve math problems less readily as we approach middle age. This is often referred to as age-related cognitive decline. Years ago, scientists believed that this decline was inevitable, but extraordinary research in the past two decades has shown that the adult brain changes with experience and training throughout the lifespan—a phenomenon known as neuroplasticity. Neuroplasticity isn’t a given. Epidemiological research finds that how a brain ages depends on a number of factors including diet, physical exercise, lifestyle choices, and education. The healthier and more active one’s lifestyle, the more likely he or she will maintain cognitive performance over time. And meditation may be a key ingredient for ensuring brain health and maintaining good mental performance. Here’s what recent research suggests about how mindfulness meditation practice may help keep aging brains fit and functional. To maintain mental acuity, it’s important to keep what researchers call your neural reserve in good working order. This “reserve” refers to your brain’s mental efficiency, capacity, or flexibility. Emerging evidence suggests that the consistent mental training that occurs in mindfulness meditation may help to keep that “reserve” intact. For example, one review of the evidence linked regular meditation with positive improvements in brain function such as heightened attention, awareness, working memory, and greater mental efficiency. Studies are showing that daily meditation impacts both brain “states” and brain “networks.” Brain state training involves activating large-scale networks within the brain that affect a broad range of emotional and mental processes. A clever example of this can be found in a recent study published by a group of researchers at UCLA, who reported that experienced meditators have higher concentrations of tissue in brain regions most depleted by aging, suggesting that meditation practice may help to minimize brain age and protect against age-related decline. Brain network training, on the other hand, is more focal in that it improves specific cognitive abilities by repeatedly activating a network associated with one function, like paying attention. This is equivalent to repetitive mental bicep curls. Both state and network training are believed to be important ingredients for keeping the brain sharp. Meditation may provide another added benefit—increased mental flexibility. For some, age can come with a rigidity of thoughts, feelings and opinions, and the inability to flow with the challenges and obstacles that are part of the tide of life. That can be a source of stress, and potentially even illness. 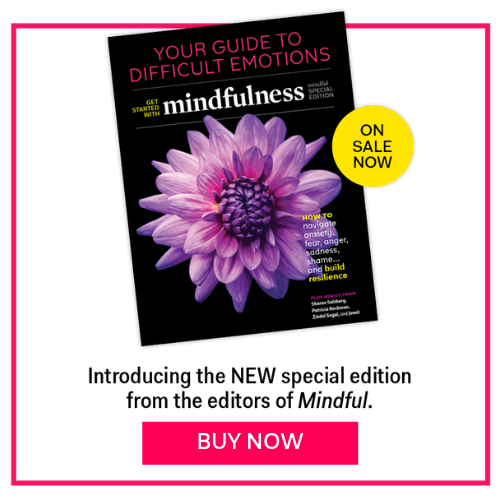 Because most meditation practices emphasize developing an awareness of thoughts, feelings, and physical sensations without creating a narrative or judgment about the experience, mindfulness mediation may help to lessen a person’s attachment to fixed outcomes, increase mental flexibility, and add to one’s neural reserve. Although encouraging, it’s important to note that this research is in its infancy and results are mixed. For example, a number of studies have reported that older meditators outperform age-matched non-meditators, or function comparably to younger participants on a number of attention tasks. Others have shown little or no change in cognitive function following a mindfulness intervention for older adults, or report that improvements are not maintained over time. What we do know is that long-term engagement in mindfulness meditation may enhance cognitive performance in older adults, and that with persistent practice, these benefits may be sustained. That’s great news for the millions of aging adults working to combat the negative effects of aging on the brain.